App.net today announced Hootsuite has added support for the social network. If you have a Hootsuite account, you can add App.net to your dashboard and authorize your account by clicking here. 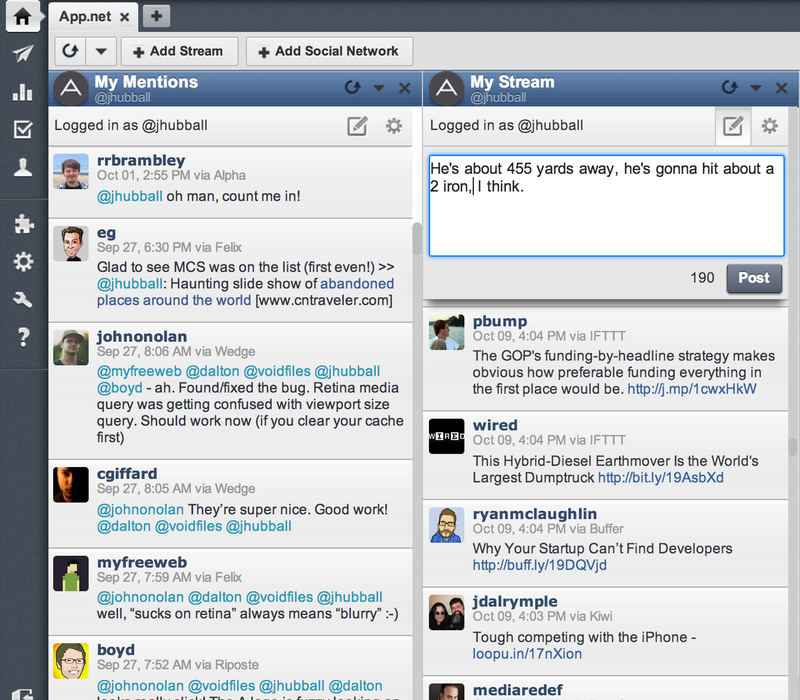 App.net controls in Hootsuite include columns titled My Mentions, Post Search, and My Stream. The integration lets you not just compose new posts, but interact with other posts and users via search, re-post, reply, and star.